If you know me, you'll know that I hold brows sacred. They frame your face and whether they're done wrong or right, they really can change the way you look! Since Cara Deleveigne rose to fame a few years ago, big brows have come into fashion. We can't all get Kylie Jenner's eyebrow arches or PLL Aria's thick brows but a gal's gotta do what she's gotta do to get those caterpillars looking FLY. 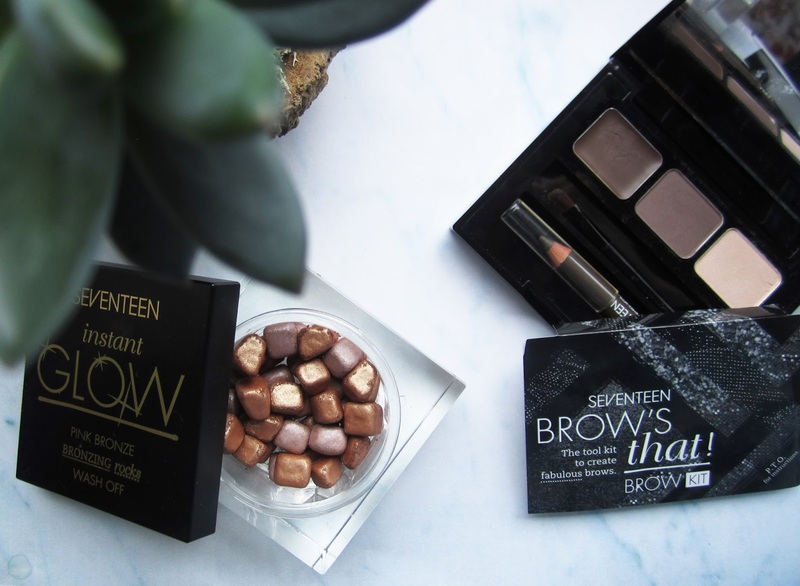 So here's another SEVENTEEN post and I'm not even sorry- these products really are great. I mentioned in my Mega Matte post that Lou from Seventeen had sent me an amazing package, these were the other items included in it. Lemme tell ya', I've been using these products daily for the past week in place of Inika Bronzer and Anastasia Dipbrow Pomade and I really do love them. They're a hell of a lot cheaper and quite comparable! I have to say that at the moment I'm prefering SEVENTEEN's Bronzing Rocks* to Inika's bronzer as the mix of pink and orange gives your face a more dynamic look while the shimmer really makes you GLOW. So perfect for summer skin but also a great contrast or addition to autumn's soon to be smoky eyes! Plus-they're in rock form! 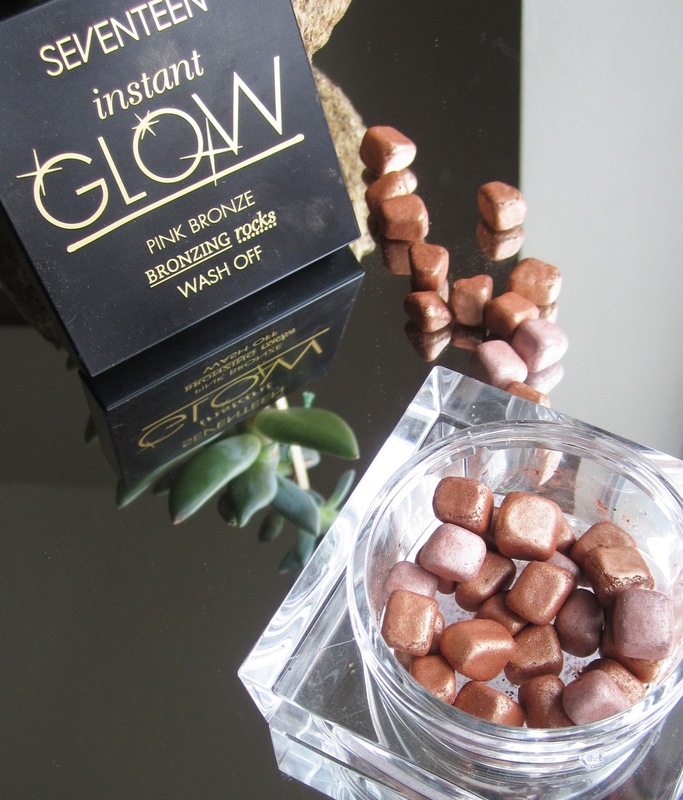 I've used bronzing pearls or beads before but the rocks that this formula comes in are so satisfying (as edible as they look, you probably shouldn't haha). You don't have to dig deep to get powder either, a simple sweep is enough to warm up your cheeks. 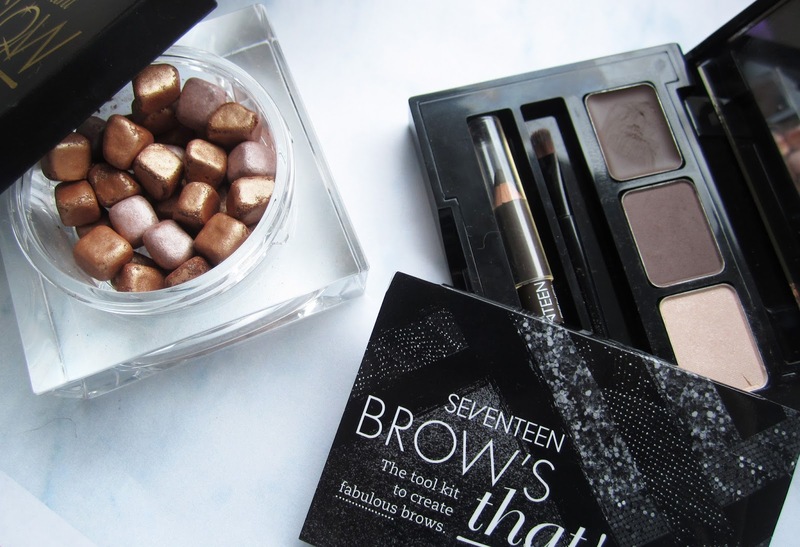 The other product I'm raving about is their Brow's That! Palette*, it's super compact and has everything you need inside it. As much as I am an advocate for ABH Dipbrow (see my sidebar selfie) I have to say that this product gives a much more natural result. I find that with Dipbrow you always have to blot away some of the product, unless you want slugs instead of caterpillars. Whereas with this it's super buildable, like their lipsticks. This means that I can give my brows a natural tinted look! 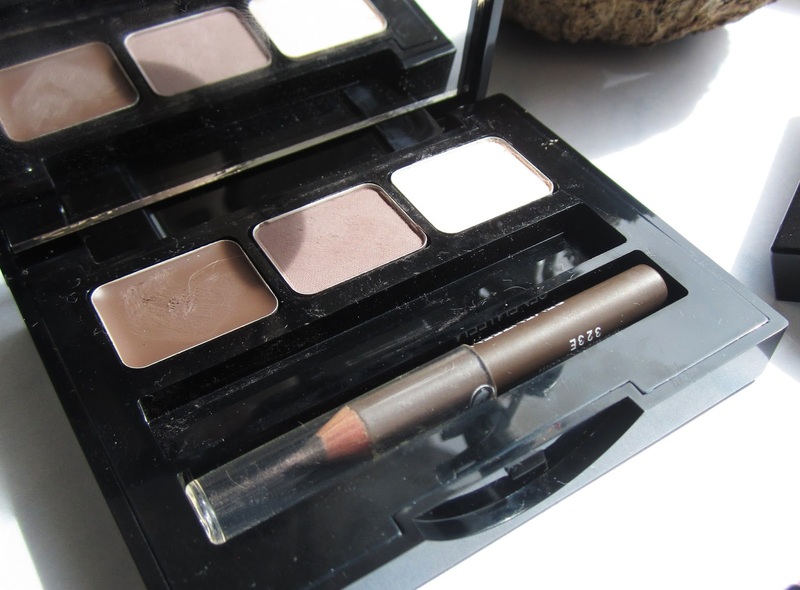 It even comes with a powder highlighter which I'm loving for making my brows really pop! The back of the card pictured above has a step by step guide to using the product which is really helpful if you're too drunk to remember what goes where (like I probably will be when I take this to Leeds festival next week). Jokes aside, it really is handy and really thoughtful as I've never used powder on my brows before, so it helps while I'm practicing! 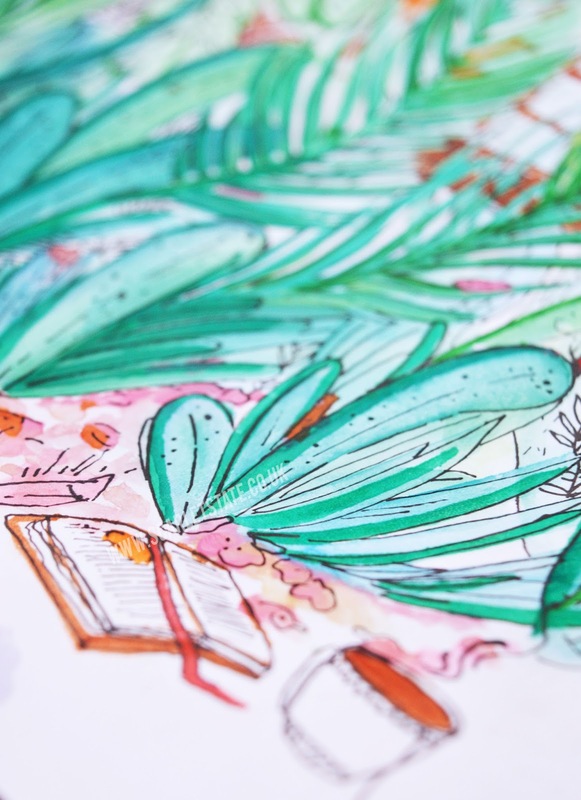 It even comes with a little brush and pencil so you can top up on the go if need be. 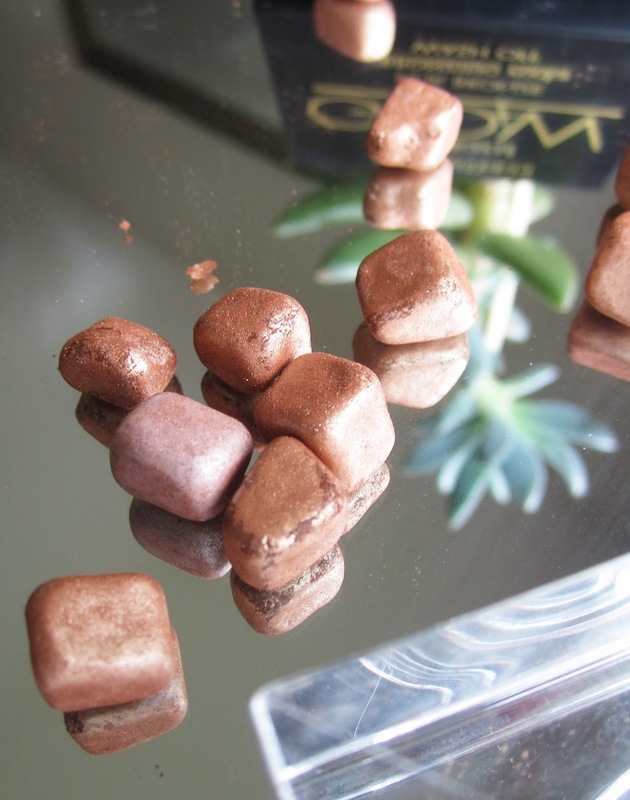 I'm really loving the packaging and compact-ness of this whole range, especially the bronzing rocks! Such a sucker for pretty storage. SEVENTEEN are also cruelty free. Hallelujaaaah! What do you use for your brows and cheeks? Are you more of a bronzer or blusher gal?If you liked this post you'll like Beauty Essentials under £10!